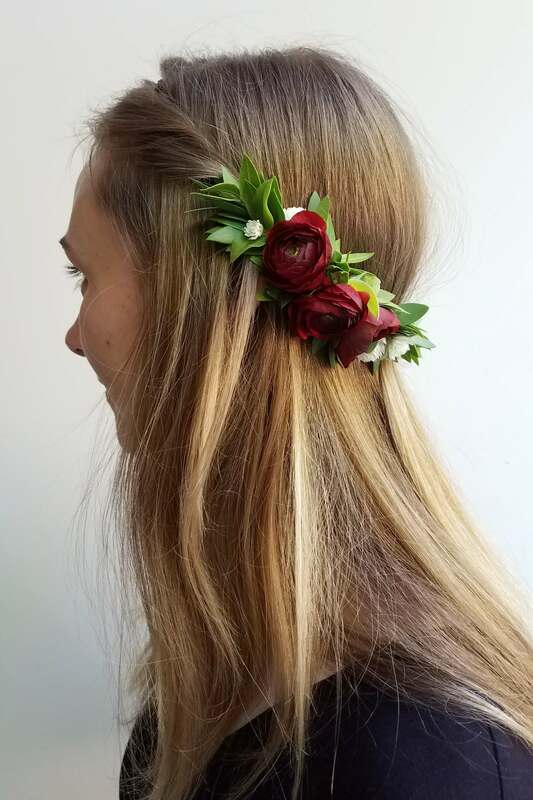 Partial floral crown with a back side focal point created with greens and seasonal blooms. Please specify your color preference and whether or not you would like ribbon streamers. You can denote your choices under order notes when checking out. The types of flowers used will be based on seasonal availability as well as hardiness. 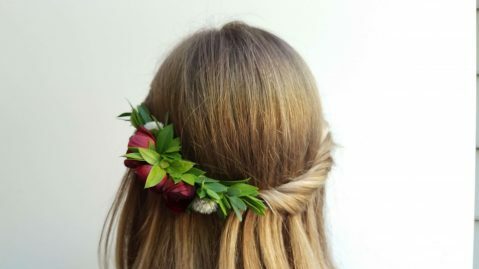 Our floral designer will choose the best and sturdiest blooms available to create the crown. All floral crowns are adjustable.